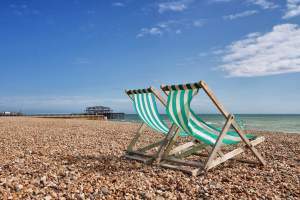 This summer we have seen some gloriously hot days, bringing the tourists flocking to Brighton to enjoy our pebble beaches, browse for curiosities in the Lanes and to dine alfresco with friends and family. Unfortunately we have also been acquainted with countless rainy days, when we have watched the waves batter the stones beneath from the safety of our cars or bravely outdoors in raincoats and wellington boots, as the hardy residents of Brighton often do. The predictably unpredictable British summer is sadly coming to a close and as we head into September the days begin to get shorter, the children prepare to go back to school and autumn slowly approaches. Autumn is an exciting transitional season where we get to watch the leaves change from the greens we are familiar with, to beautiful shades of red, orange and brown. The changing season combined with the spirited winds we witness in Brighton, means it is time to make sure we are looking after our homes to ensure they protect us from the harshness of the elements in the months to come. We cannot sit back and expect our homes to do all the work, we need to be aware of certain issues and be proactive in making sure we do not end up with potentially expensive damage that can be a serious inconvenience to our busy lifestyles. A little bit of effort can yield huge benefits. One of the main issues we face, particularly due to the high winds along the South coast, are the fallen leaves. As children we relish in the sensation of kicking the fallen leaves and the sound of them crunching beneath our feet but as adults we start to understand the problems they can cause. Fallen leaves are a major cause of blocked drains in Brighton and this issue can so easily be avoided. It is simple really, Blockbuster recommend you keep vigilant, keep your eye on your guttering as a blocked gutter can cause an overflow of water that can damage outside walls and create the need for expensive repair work. 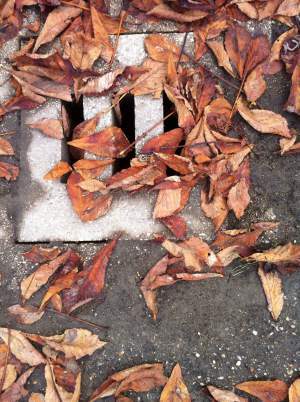 Check all drain covers around your property, make sure they are not damaged or covered by plants, and clear any fallen leaves immediately, before they have a chance to build up and block your drains. Such a simple piece of advice but one that people tend not to think of, or often put off until it is too late and the blockage has already occurred and Blockbusters need to step in. Of course if it gets to that stage and your drains are blocked you know that Blockbusters in Brighton are on hand twenty four hours a day seven days a week to help, but remember that you do have the ability to prevent this easily.